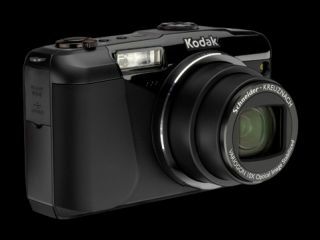 Kodak has sold its Image Sensor Solutions business to Platinum Equity for an undisclosed amount in a bid to raise cash for the firm. The deal has emerged a week after Kodak announced it was looking to raise $500m in additional financing, warning last week that it would need to raise significant funds by completing a multibillion-dollar patent sale to survive the next 12 months. Kodak is planning to generate $200m from "nonstrategic asset sales" this year, while shares in the company rose by 6% on Monday. Platinum Equity, which bought the sensor business, is a firm that specialises in buying up distressed assets, but has so far not commented on the sale. The Image Sensor Solutions division helped to develop the first digital camera prototype and works across a number of industrial and media industries. It also developed the image sensor used in the Space Shuttle program. Part of the deal includes a facility in New York that houses the division's manufacturing and research facilities, with 200 full-time employees, and some contractors, being offered jobs with Platinum. As of September 30th, Kodak claimed to have $862m in cash, down 10% from the money it had at the end of June, but it expects to have around $1.3billion by the end of the year. Credit agency Moody published a note on Monday suggesting that Kodak would run out of cash by 2012 unless new cash from a patent sale was received or there was new financing. Kodak sparked shareholder fears last month after hiring Jones Day, a law firm known for specialising in bankruptcy, but the company is still denying it is intending to file. Last week, the brand also reported a loss of $222m, twice what analysts had predicted.